One of the most popular forms of fitness training among successful entrepreneurs is CrossFit. The strength and conditioning exercise program is highly intensive and competitive, and in many ways mirrors the realities of running a business. CrossFit incorporates elements from a number of different disciplines including weightlifting, powerlifting, gymnastics, calisthenics, running, and high-intensity interval training. It’s a fitness regimen that’s ideal for the go-getter who seeks to burn off a lot of excess energy, develop core physical strength, and accurately record their progress. For Type A professionals who seek a meaningful and physical way to begin or end their day, CrossFit is a natural fit. It’s equally popular with both men and women, and is adaptable for people of all ages and abilities. The only thing that can preclude someone is a lack of mental toughness to see things through, which is exactly the same problem that would impede a new entrepreneur. The need to engage in CrossFit and the drive to start a new business adventure derive from the same core desire for personal excellence. It’s therefore no surprise many people you’ll meet in WOD sessions will be fellow business owners and high-achieving individuals. CrossFit is no different to any other form of physical exercise when it comes to results. It takes time to build strength and endurance. 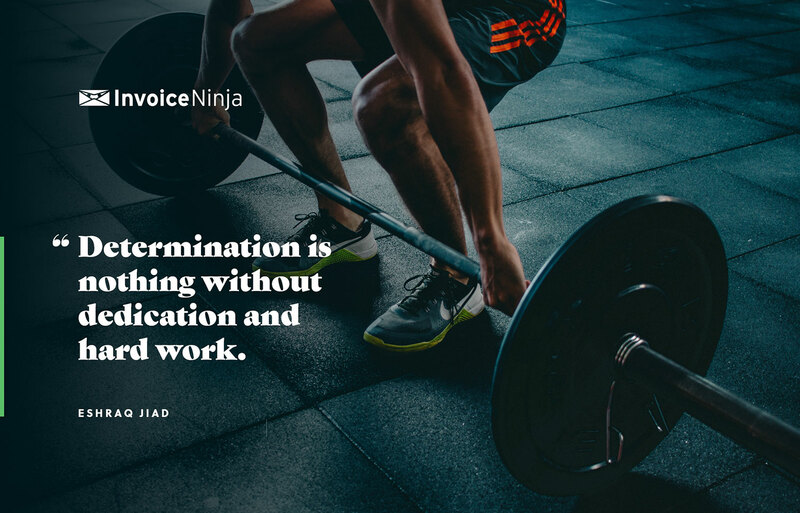 Dedication, motivation, and perseverance are essential, just like they are when building a business and developing a career. When training, you need to eat right, sleep well, and take care of your psychological wellbeing, day after day, week after week, month after month. Growing a business requires the same self-care and dedication in order to achieve optimum results. CrossFit is results driven. Data analysis is an integral part of the program. It’s impossible to hide from your scores and records, which are often shared on whiteboards with the group you’re in. Every exercise you do is clearly defined and measured. This attention to details, data, and metrics is very similar to how a successful entrepreneur runs their business. Every facet of their company, from finances and time management to marketing and sales results, is recorded and analyzed in fine detail. Without the measurement of progress and results, a business will very quickly stagnate. CrossFit is a varied program of exercises. It incorporates many different types of movement and these vary from one day to the next. You’re never quite sure what each ‘workout of the day’ (WOD) will involve. The intensity of the workouts can also be varied. CrossFit is a step into the unknown from one workout to the next, and this is very similar to what entrepreneurs experience every day of their careers. Some people love this variety and unknown quality to each day. Other people hate it, and will probably dislike CrossFit as well. The varied high-intensity workouts of the CrossFit program demand mental toughness and agility. Some workouts can feel a lot harder than others depending on a person’s natural skills and physical strengths. Yet to succeed in CrossFit, all the varied forms of exercise need to be mastered. This overcoming of problems and pushing through pain barriers is exactly what all successful entrepreneurs do when facing the inevitable fears and self-doubt that are associated with business and big money decisions. Repetition is the key to success in any endeavor but especially so when it comes to CrossFit and running your own business. Building stronger muscles and increasing your endurance require hundreds of hours of hard physical exercise. These are intensive and often painful when you’re struggling to reach a particular goal. This mirrors the intensity of striving for business success and the hardships faced by entrepreneurs, especially in the early days. Great business leaders only become successful through repeatedly turning up, even on their darkest days, and putting the work in. Whether it’s against yourself or against fellow fitness enthusiasts, CrossFit encourages competitiveness. It’s all about beating your previous scores in front of your gym mates and improving endurance, stamina, strength, power, and speed. A competitive environment is essential if you are to be at your best, and this is a good lesson taken from the world of business. It’s competition that fuels innovation, new ideas, and sales results, just like its competition that takes you through the pain barrier when your legs and arms are crying out for mercy during a WOD. While CrossFit is highly competitive, it’s also a supportive environment when it comes to group workouts. Many a CrossFit enthusiast can attest to the sense of camaraderie felt with fellow class members. It’s a similar sense of team spirit felt within professional sports teams as well as in the most successful companies everyone wants to work for. Cultivation of a sense of camaraderie is essential for entrepreneurs who are leading teams. Competitiveness and camaraderie can coexist seamlessly together, under the right leadership. Entrepreneurship and CrossFitStarting, growing, and maintaining your own business is a mammoth effort. It requires mental strength, physical fitness, emotional balance, and a solid grit and determination. Without all of these traits, it’s all too easy for an entrepreneur to fall behind and meet with the failure they so fear. Successful entrepreneurs build their businesses using observable and measurable results, just like a dedicated fitness enthusiast does when developing their strength and stamina. There are many commonalities between the rigors of entrepreneurship and the intensity of CrossFit. This is why the increasingly popular fitness program is often an essential part of an entrepreneur’s day.